Yes. Although your loved one is no longer alive, his or her estate can serve as the defendant in a lawsuit in many situations. 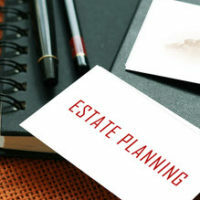 As experienced probate attorneys, we often receive phone calls from panicked personal representatives who thought that closing a loved one’s estate was going to be simple. However, when the estate is sued, they quickly find themselves in over their head. In this post, we’ll identify some of the situations in which your loved one’s estate might be sued and what you should do if you are tasked with administering the estate. Your loved one might have owed money to different creditors when they die. For example, a car loan might not be paid off or a balance remains on a mortgage. After your loved one dies, creditors are notified to submit their claims for payment before a certain date. As the personal representative, you will decide which claims are legitimate and pay them. In some situations, you might decide that a claim lacks support and decide not to pay it. If so, the creditor can sue the estate. As the personal representative, you are tasked with defending the estate. Many representatives have no idea what step to take first, so contact an experienced probate attorney in The Villages right away. The people named to inherit under the will might sue you, alleging that you have breached your fiduciary duties, such as the duty of loyalty. If the beneficiaries win, then you might need to pay damages, meaning you will need to pay them money to make up for the harm you caused. Being sued by beneficiaries is unnerving. It does not happen often, but you could be on the hook for a considerable sum of money. Reach out to us as soon as possible to review what defenses you might have. Your loved one might have been embroiled in litigation when he or she died. Depending on the suit, it might continue even after death. In that case, the estate steps into the shoes of the deceased and is responsible for paying money damages if the estate loses. Not all lawsuits will continue after death. For example, a child custody dispute will end since the estate cannot get custody of a child. But lawsuits where someone seeks money damages from your loved one often continue. The estate must defend itself, which requires legal representation. A probate attorney can help you find the right lawyer to defend the particular dispute. Lawsuits against the estate are fairly rare, but they do happen. And when they do, personal representatives need steady legal guidance that only an established probate lawyer can provide. At Millhorn Elder Law Planning Group, we have helped many personal representatives administer estates, and this includes helping to defend the estate in litigation. For more information, we welcome you to schedule a free consultation with one of our lawyers by calling 800-743-9732.